Adventures of a Thrifty Mommy: Mother's Day DVD Package Giveaway! - CLOSED! 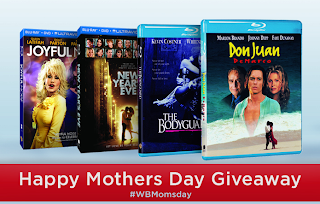 Mother's Day DVD Package Giveaway! - CLOSED! You can purchase each of these great movies on Amazon! Thanks to Warner Brothers, one VERY lucky Adventures of a Thrifty Mommy reader will win all four DVDs: The Bodyguard, Joyful Noise, Don Juan de Marco, and New Years Eve! 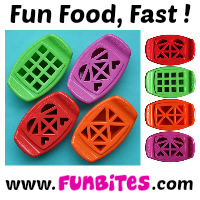 Click "Read more" and follow the Rafflecopter directions to enter. Disclosure: I received the products mentioned above for this review. No monetary compensation was received by me. This is my completely honest opinion above and may differ from yours. Because I do not ship most prizes, I cannot be held liable for lost or not received items. I would like the Juan de Marco. I can't remember seeing any of these movies, but I'd most like to see Joyful Noise. My favorite is The Bodyguard. I'm most interested in seeing New Years Eve. Thanks for the chance to win! I've never actually seen any of them, but Joyful Noise looked fun! I would love to see Joyful Noise! I haven't seen any of them! I'd love to see Joyful Noise. I loved The Bodyguard. It has such a great sound track also.. Thanks for the chance to win. The Bodyguard is my favorite. I like New Years Eve! I want to see new years eve! I want to see Joyful Noise the most - it seems like it'd be a feel-good movie with good music! Joyful Noise is my favorite. I'd like to see Joyful Noise. i love the bodyguard but really want to see new years eve! The Bodyguard is m favorite of these movies. I've only seen "The Bodyguard"...Whitney was so amazing here :( To everyone's dismay, I still sing along to "I will always love you" at the top of my lungs. What a pretty song (not when I sing it). Don Juan Demarco is my favorite - haven't seen New Years Eve or Joyful noise yet. A Joyful Noise with Queen Latifah and Dolly Parton! I'd like to see New Year's Eve. New Year's Eve would be my favorite. I'd like to see New Years Eve. the only one i saw was new years but i loved it! I love The Bodyguard. kristiedonelson(at)gmail(dot)com Thank you. Love the giveaway! The Bodyguard is great! My favorite is The bodyguard! I have only seen Joyful Noise and I liked it. The Bodyguard...it's such a classic.